TC Fluid Control have spent many years developing their TC magnetostrictive transmitter into the reliable, high quality device it is today. 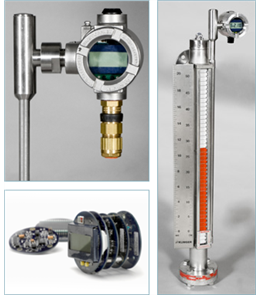 This liquid level transmitter is based upon the magnetostrictive measuring principle. The measurement process commences with a pulsing current through a wire made of magnetostrictive material, the magnet-fitted float sits upon the surface of the liquid being measured, when the pulse reaches the float position the liquid level can be calculated. This is an extremely accurate process, recording results within an eighth of a millimetre. The TC Fluid Control magnetostrictive transmitter is easily calibrated and can be controlled in situ or remotely and is unaffected by temperature or corrosion. The units are manufactured and tested in our facility in Swanley, Kent. Easy to calibrate with pushbutton controls they are not affected by high temperatures, vacuum or foaming contents.